“It’s very picturesque,” says Grant Horrex, who was among the thousands of visitors to descend on Orange on the final weekend of the F.O.O.D. Week autumn festival. 350 participants took part in last Sunday’s Great Volcanic Mountain Challenge in Orange with 170 taking part in the new 5km trail. Get ready Orange, the Flight Centre Travel Roadshow is about to hit town. The 2019 Waratah Sports Club Invitational Rugby 10s looks like being the biggest event yet, according to organiser and Orange City Rugby Club Old Boy Fletcher Niven, who says there has been an unprecedented amount of interest from Women’s, Men’s Open and Colts teams. It’s on again over the weekend of February 16 and 17 at Jack Brabham Oval in Orange. 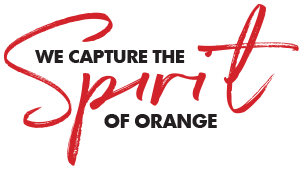 Tourism marketing in the Orange region is off to a fresh start with the launch of a new brand and organisation known as Orange360.